The Chaminade Speech and Debate team was very busy over the Marton Luther King Jr. holiday weekend, visiting Fox News and participating in a very challenging, yet ultimately rewarding tournament in Lexington, Massachusetts. This year, in celebration of Chaminade High School’s eighty-fifth anniversary, members of the Chaminade Torch Fund hope to follow in the legacy of supporting the student body by raising a total of $85,000 in the “Drive for 85” fundraising event. 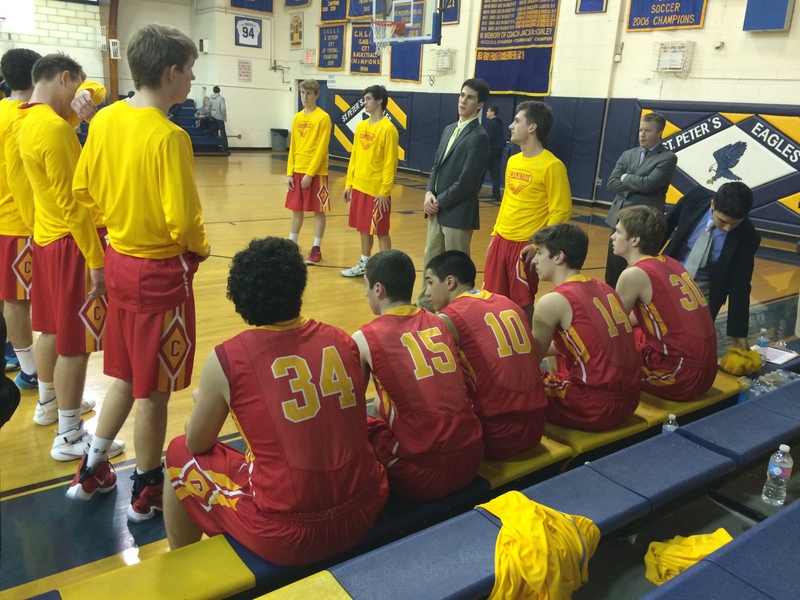 Renewing their rivalry on Friday, January 15, Chaminade’s and Kellenberg’s varsity basketball teams met before a packed house at the Activity-Athletic Center. Continuing its dominant season on the road to a championship repeat, Chaminade’s varsity basketball team earned an impressive victory over league rival St. Anthony’s. Each year, Chaminade’s Speech and Debate Team hosts its prestigious Chaminade Invitational, where countless schools compete in various events to earn top honors. This year, Chaminade debaters spent numerous hours preparing for the competition on January 9, 2016. Time and time again, Chaminade High School capitalized on this chance to develop students’ love for science, and on Saturday, January 9, the members of Science Olympiad represented themselves well at the Columbia High School Invitational in Albany, New York.